When Erik Forrest Jackson was asked to adapt “Cheers,” the iconic NBC sitcom, for the stage, he figured he should watch the show again. He hadn’t been a diehard fan during the show’s ’80s heyday. So Jackson binge-watched the first season’s 22 episodes and was struck by how smart and funny it was. That made the task of writing ‘‘Cheers Live on Stage,’’ the two-hour theatrical treatment that kicks off a national tour at the Citi Shubert Theatre in September, both easy and difficult. 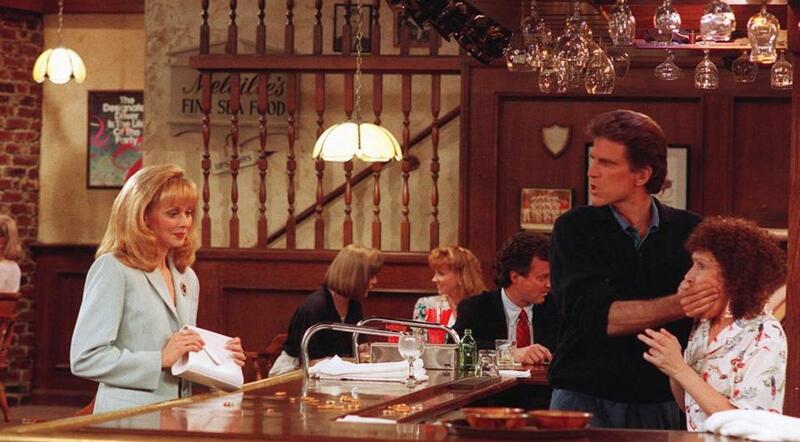 “Cheers,” which starred Ted Danson as the former Red Sox pitcher and shameless scoundrel Sam Malone and Shelley Long as the pretty and imperious waitress Diane Chambers, was monumentally popular. Between its 1982 debut and the finale in 1993, it won 28 Emmy Awards and six Golden Globes. Because Jackson’s adaptation is based on just the first season of “Cheers,” the cast of characters includes Sam, Diane, everybody’s favorite barflies Norm and Cliff, as well as Carla, and Coach. There’s no Woody, Frasier, or Rebecca. The Boston engagement of “Cheers Live on Stage’’ is slated for Sept. 9-18 at the Shubert, followed by a multi-week run at the Broadway Playhouse in Chicago and then a tour across the country. Jackson said he’s surprised — and grateful — that an adaptation of “Cheers” hadn’t been done already.